How much domestic violence is going unreported? Getting a clearer picture of under-reported domestic abuse in rural areas of Northumberland is one of the key goals this year of a group tackling the issue. According to Northumbria Police data, in 2016-17, there were 5,041 reported domestic abuse incidents in Northumberland, an average of 420 a month. Using the data for the first quarter of last year (1,322 incidents) for comparison purposes, Northumberland accounted for 16 per cent of the Northumbria force area’s domestic abuse incidents, the third highest after Newcastle and Sunderland. Northumberland had the highest proportion of victims who were aged 16 or 17, and the lowest proportion of repeat victims (of any age), while 44 per cent of Northumberland’s incidents involve children – in line with the force average. 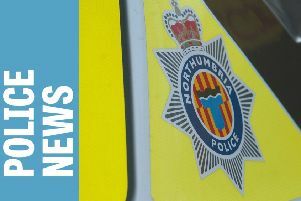 Of all the incidents, 45 per cent were classed as crimes in Northumberland, with 27 per cent of crimes involving alcohol (both in line with the force average). The Northumberland domestic abuse and sexual violence coordinator has been in post for almost a year to support the work of the Northumberland Domestic Violence and Abuse and Sexual Violence Business Group, which is made up of a number of statutory and voluntary agencies. A report to last Wednesday’s meeting of Northumberland County Council’s communities and place committee explained that a needs assessment has been carried out to inform the development of a strategy and action plan. The four key priorities are prevention, provision, partnership working and justice outcomes. The report adds: ‘The needs assessment relies predominantly on data from Northumbria Police, which provides an overview of the problem, but under-reporting is part of the issue when considering domestic abuse, with the problem of under-reporting thought to be higher in rural areas. But plenty of progress has already been made; a hub that delivers an integrated service for both female and male victims over the age of 16 went live on March 1 this year. The new service includes a single point of access for all referrals, 24 hours a day, seven days a week; safe refuge accommodation; dispersed accommodation; resettlement into the community and outreach support; as well as independent domestic violence advisors to support people identified as high risk.